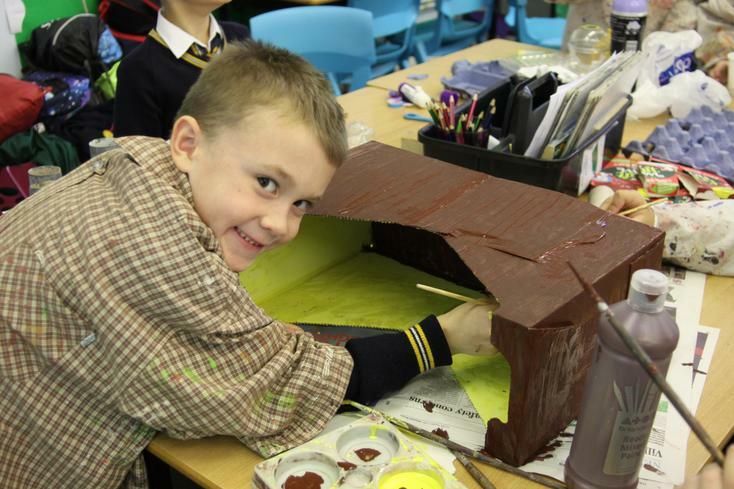 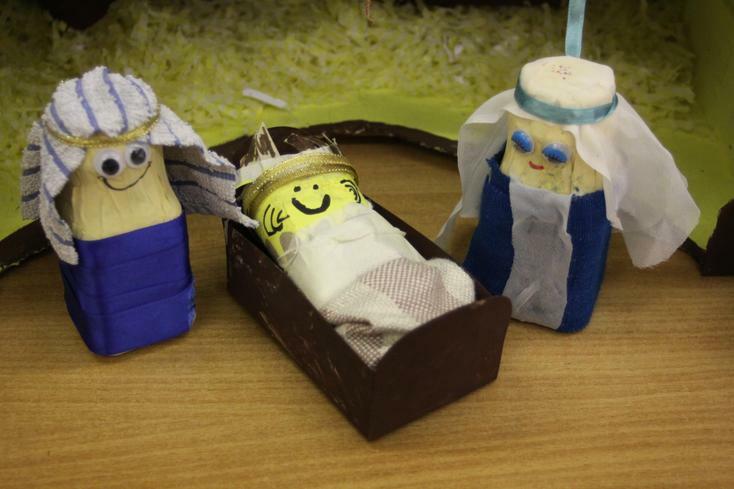 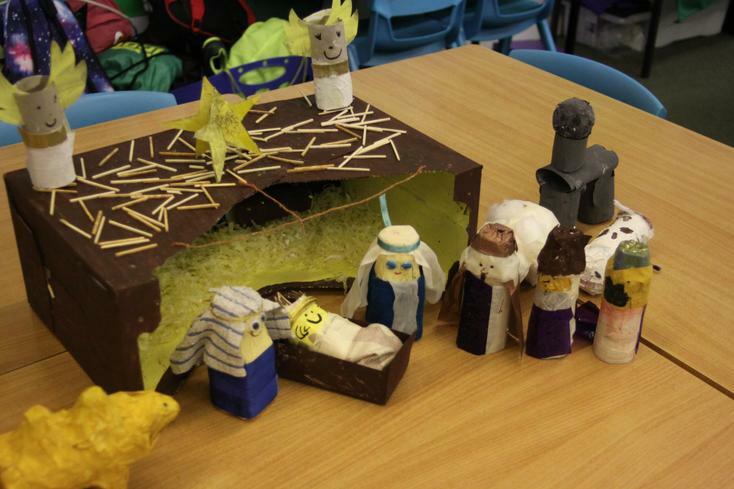 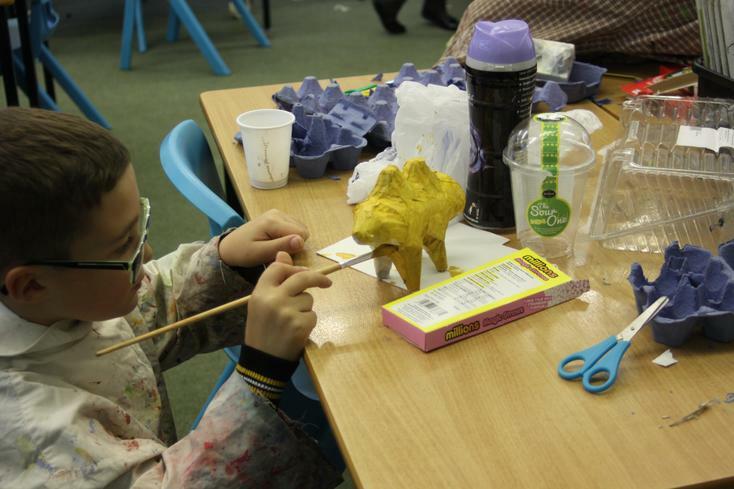 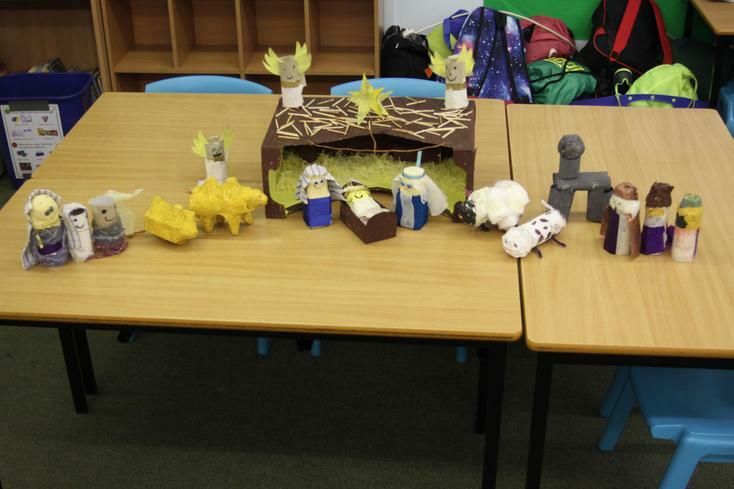 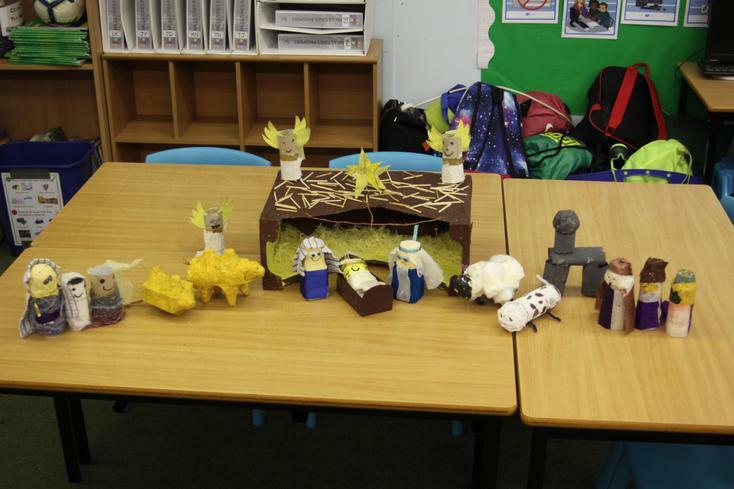 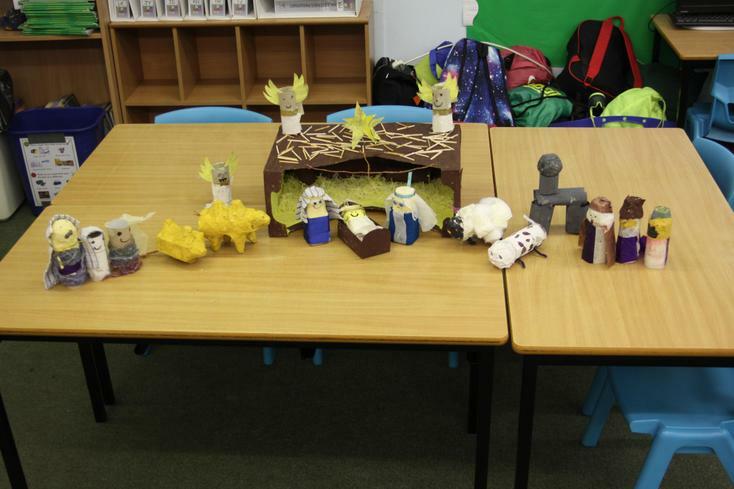 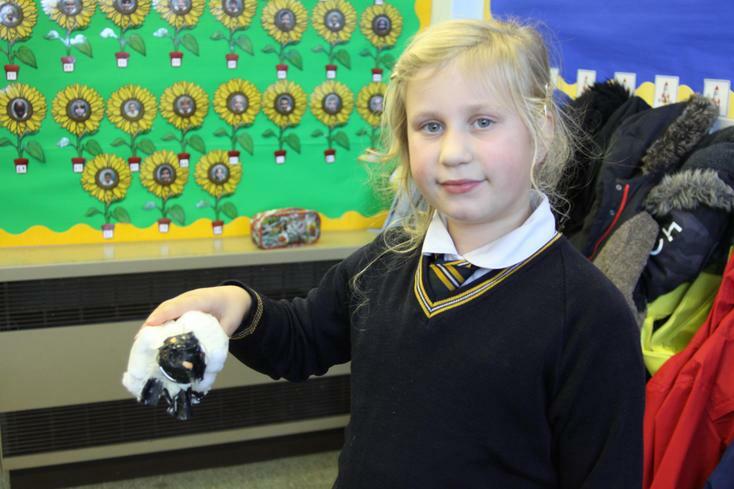 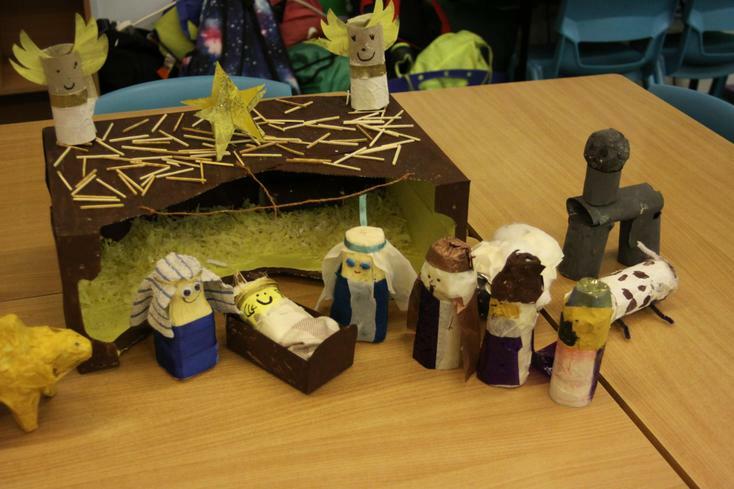 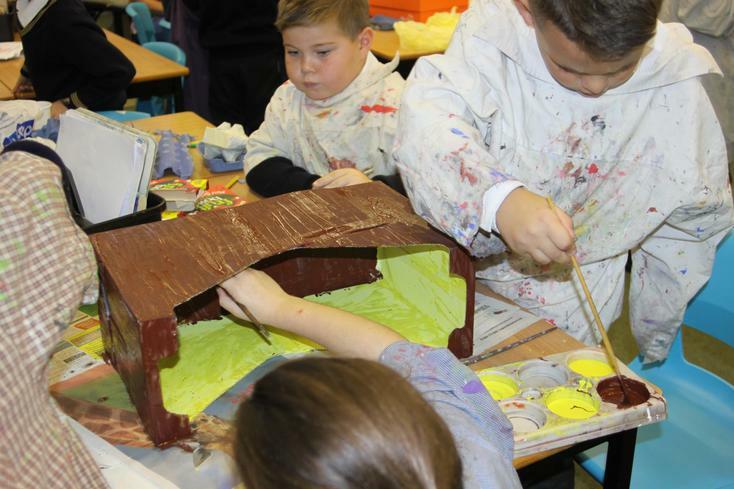 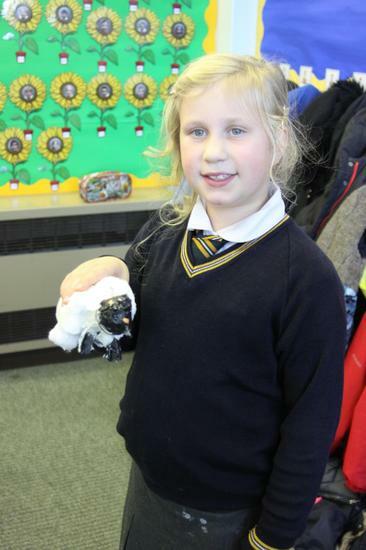 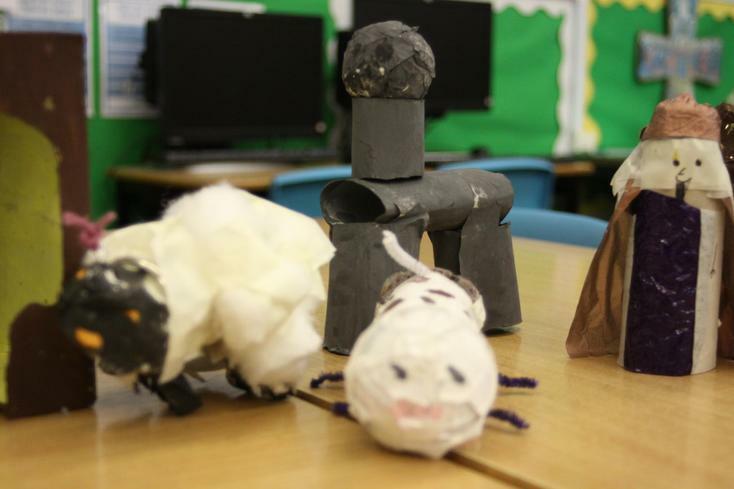 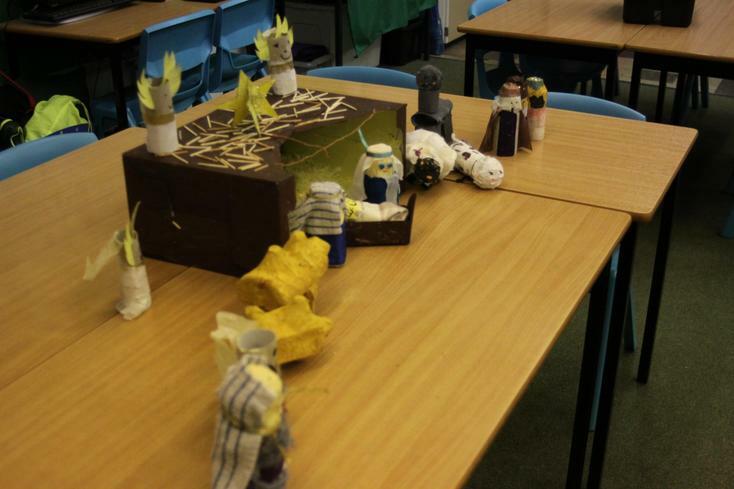 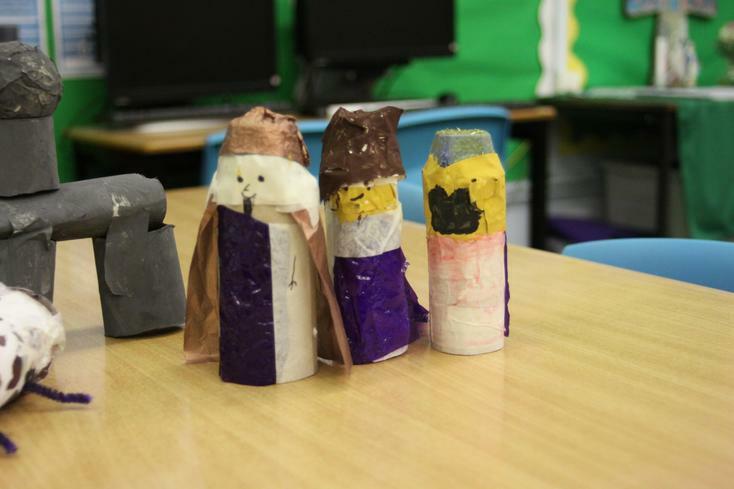 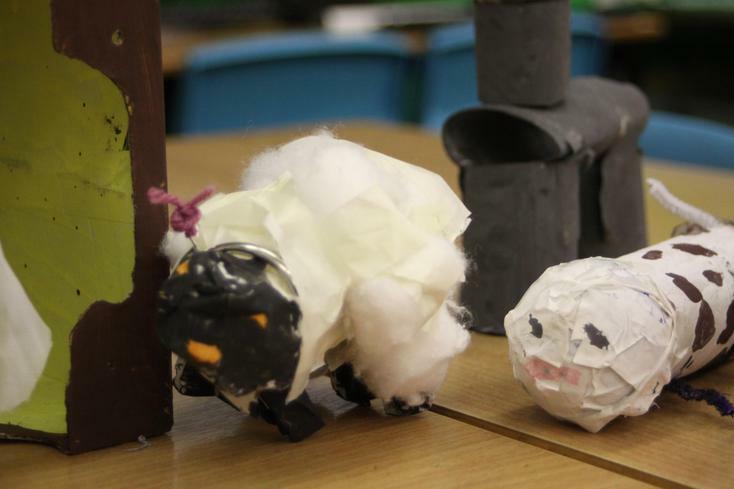 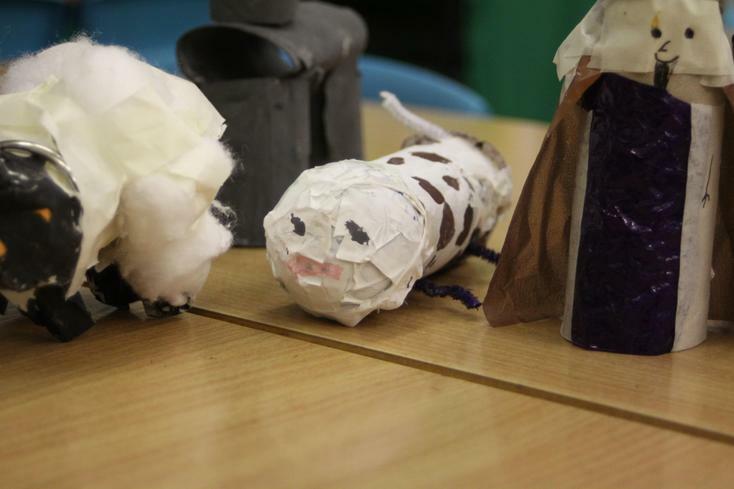 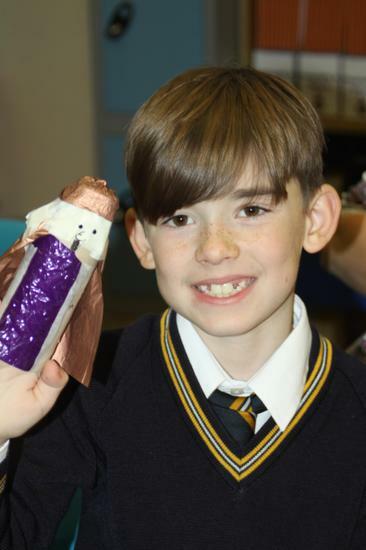 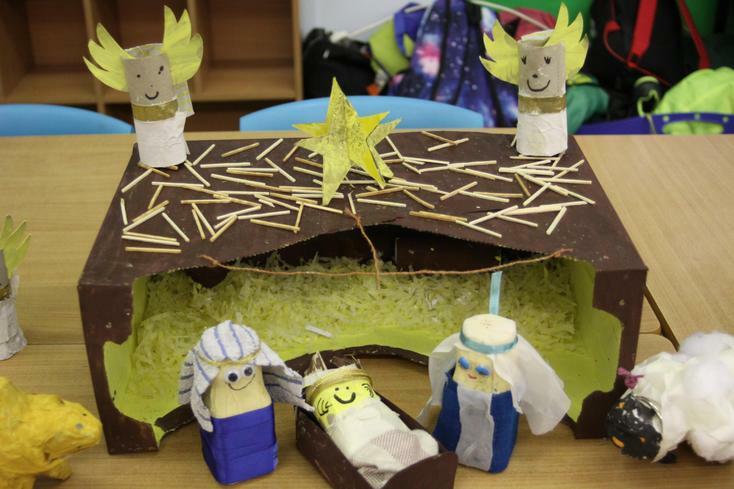 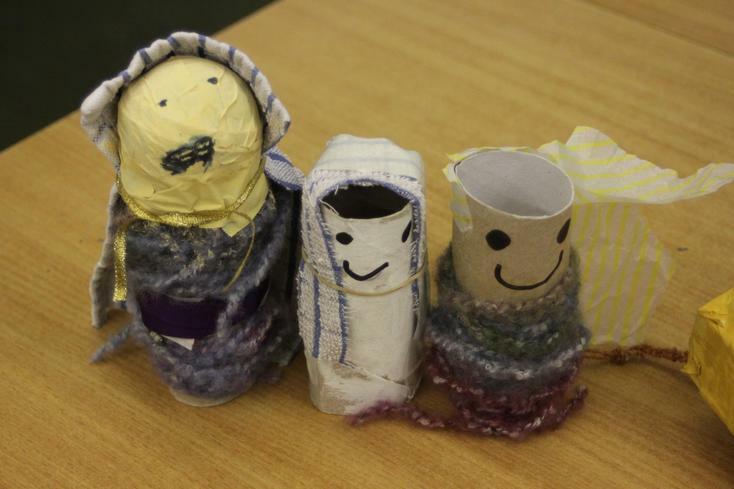 Year 3 worked as a class to make a fantastic Nativity scene out of recyclable materials. 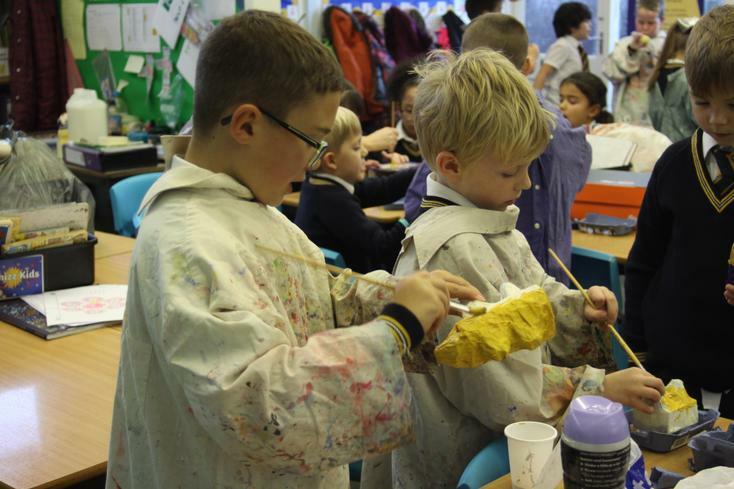 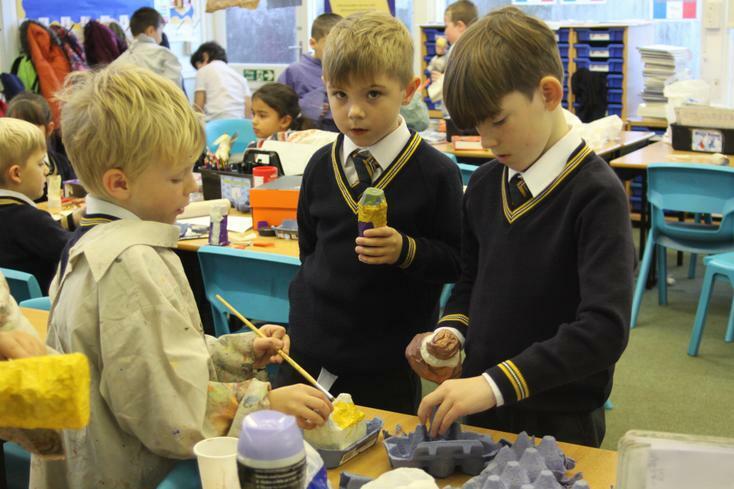 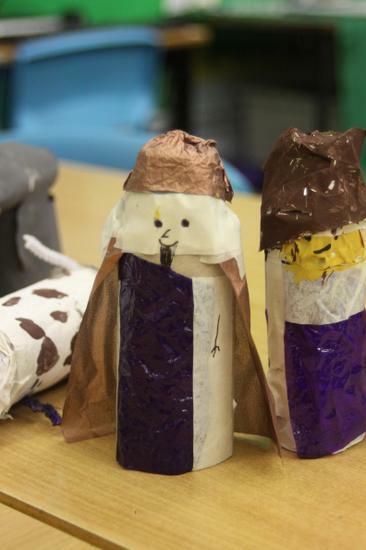 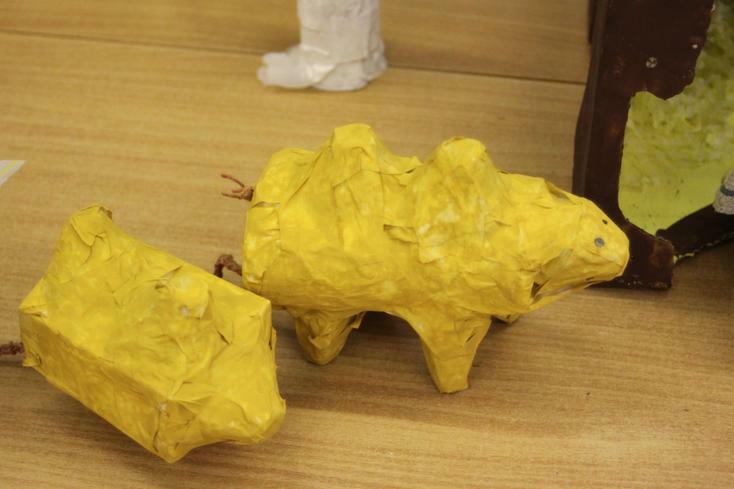 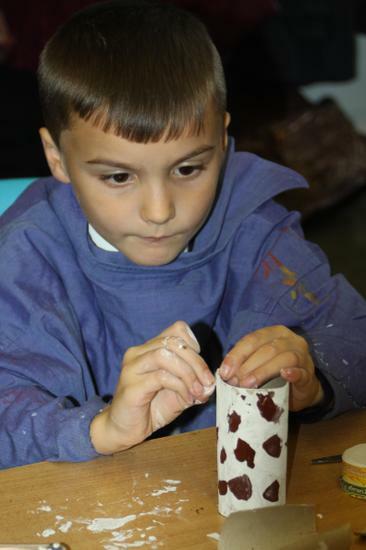 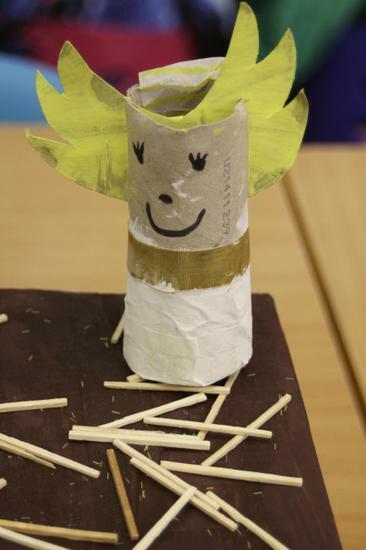 They each decided what character from the story they would make and the materials they were going to use, including egg boxes, milk bottles, boxes and cardboard tubes. 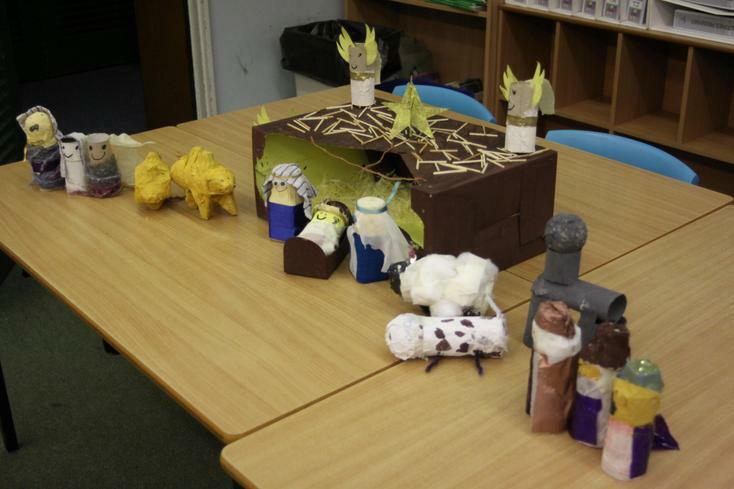 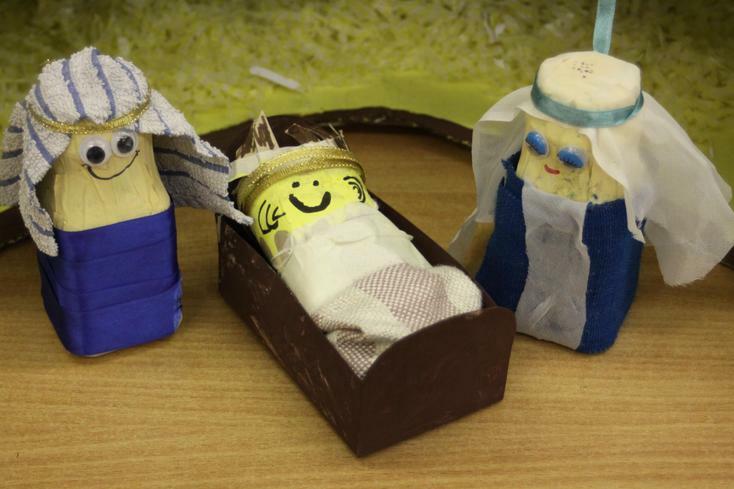 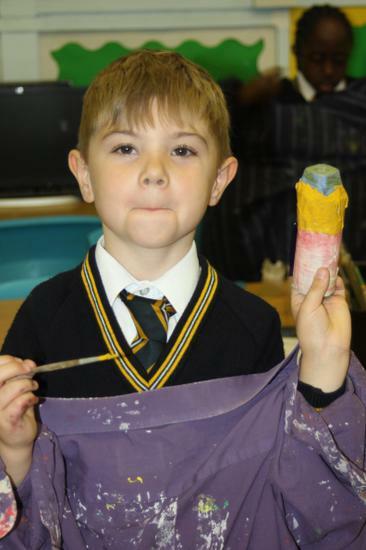 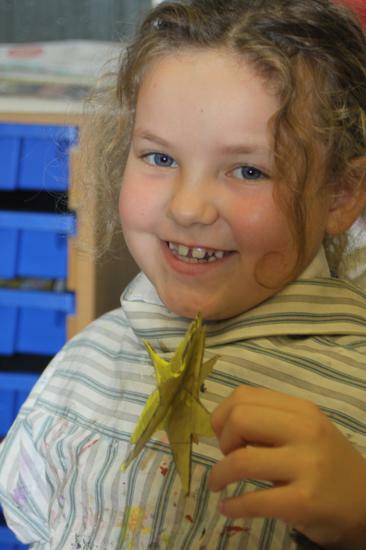 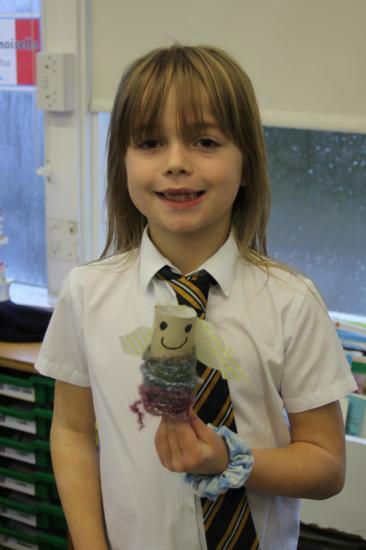 The end result is stunning and will feature during the Whole Schools focus on Advent and on the Nativity story.